Have you ever used home remedies to treat yourself when you become sick? Then this should be something that you should look into. There is nothing better than giving your body natural ways to heal itself. 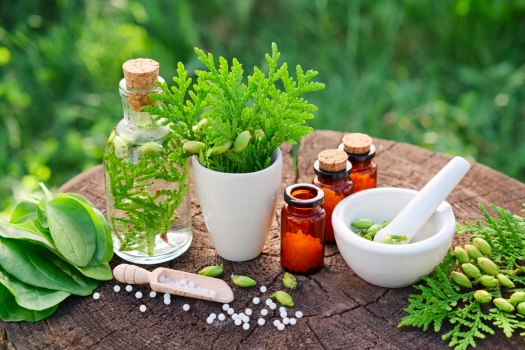 Homeopathic treatment services have been around for almost 200 years and people in places like Europe and India have been the first to use natural health care remedies to treat people who are ill. Now many in the United States use homeopathic methods to treat conditions that are not life threatening. Don’t pass up the opportunity to be healed by nature. It is great to know what you are putting in your body when it comes to medication. Homeopathy is based on two things; cures, and the minimum dose. It treats every part of your body instead of just focuses on the part that is diseased. Homeopathic treatment services use the symptoms you experience when you get sick and try to put your body back to homeostasis. It uses substances found in natural products and without manmade chemicals to help your body focus on healing itself the natural way. There is a small amount of natural medicine that practitioners provide to start the healing process. Using the natural functions of your body to heal itself is what is most important. This type of treatment is used to lessen symptoms and cure those with non-life-threatening conditions such as the common cold or flu. However, this treatment can be used to treat chronic conditions like depression, migraines, and knee and back pain. Treat your body with respect and use natural medicine. Contact us today by phone or by filling out our simple online form and let us help you get on the road to pain-free health.